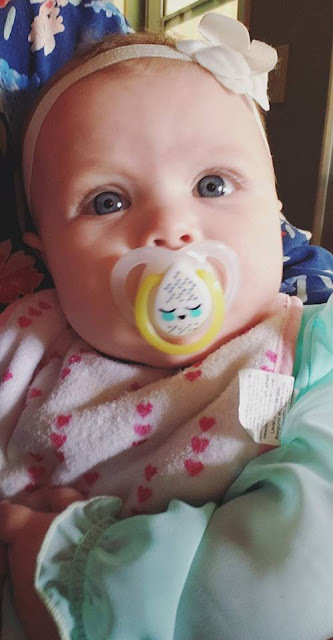 I am so excited, my gorgeous great niece Eva is in town with my niece, for the next two months. The last time I saw baby girl was at her birth and when she was 2 weeks old. I haven't been able to see her, hold her, love on her since then and I'm loving every second that I get to do it now. Eva is now 4 months old. She is not just absolutely gorgeous, but the happiest, friendliest, sweetest little baby in the world. She just looks at a person and gives the biggest smile, coos, babbles, squeals and so on. My Saturday started with an early grocery shopping trip to the commissary. I came home, got everything put away, started the laundry and then at 12:30 we went over to my brother's house for a barbecue and just family time. On the way back home, right after leaving Dallas, we were hit with a crazy storm that came out of nowhere, and actually brought us all to a halt on the highway. When I say we couldn't see anything in front of us, I'm not exaggerating, the rain was coming down so hard and the winds were so high that even with the windshield wipers on, we could see nothing. You know how much I love rain, but not even I enjoy something like that. We've spent the day being the laziest we have been in a long time. The past week I've been in and out, and so busy that today I felt like I hadn't been in my house for weeks. It felt good to sit, do nothing, have a pajama day and just relax. 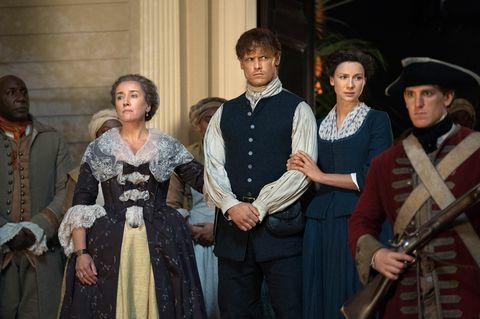 The first thing I did this morning was watch the first episode of the new Outlander Season. It was so good, it's exciting to see the show back on screen. For dinner my husband and son are picking up some burgers and fries, and even though it's not something we do often, I have to say I'm quite looking forward to it. Some days I quite enjoy a juicy burger in all it's greasy goodness. My weekend has been good, and I have a lot I want to do this upcoming week, in preparation for the holidays. It will be nice to have that extra hour too, won't it? Though I will say that living in Arizona for so many years, I enjoyed never having to worry about daylight savings or turning back clocks. I hope you are all having a beautiful weekend. I'll see you all back here tomorrow morning for our Happy Homemaker Monday. she is so adorable sandra...God bless her..